Financial planning is the process of meeting your life goals through the proper management of your finances. One's goals can include saving for a major purchase, education planning or planning for retirement. The financial planning process consists of several steps that help you take a "snap shot" of where you are today and what you need to do financially to accomplish your targets. The process involves gathering relevant financial information, setting life goals, examining your current financial status and coming up with a strategy or plan for how you can meet your objectives given your current situation and future plans. 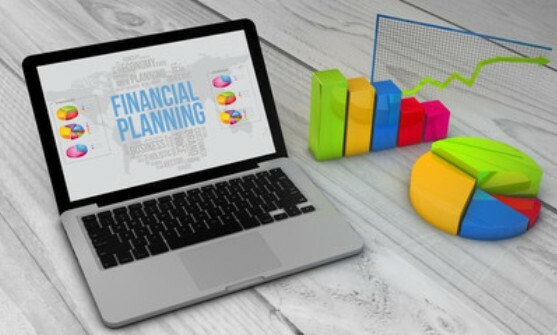 A Certified Financial Planner is a practicing professional who helps people deal with various personal financial issues through proper planning, which includes: cash flow management, contingency planning, education planning, retirement planning, investment planning, risk management and insurance planning, tax planning, estate planning and succession planning. The work engaged in by this professional is commonly known as personal financial planning. In carrying out the planning function, he is guided by the financial planning process to create a financial plan; a detailed strategy tailored to a client's specific situation, for meeting a client's specific goals. The key defining aspect of what the financial planner does is that he considers all questions, information and advice as it impacts and is impacted by the entire financial and life situation of the client. Adapting to life changes to feel more financially secure. To make intelligent financial choices along the way (whether to "buy or lease" whether to "refinance or pay-off" etc.). Personal financial planning is broadly defined as "a process of determining an individual's financial goals, purposes in life and life's priorities, and after considering his resources, risk profile and current lifestyle, to detail a balanced and realistic plan to meet those goals." The individual's goals are used as guideposts to map a course of action on 'what needs to be done' to reach those goals. Alongside the data gathering exercise, the purpose of each goal is determined to ensure that the goal is meaningful in the context of the individual's situation. Through a process of careful analysis, these goals are subjected to a reality check by considering the individual's current and future resources available to achieve them. In the process, the constraints and obstacles to these goals are noted. The information will be used later to determine if there are sufficient resources available to get to these goals, and what other things need to be considered in the process. If the resources are insufficient or absent to meet any of the goals, the particular goal will be adjusted to a more realistic level or will be replaced with a new goal. Planning often requires consideration of self-constraints in postponing some enjoyment today for the sake of the future. To be effective, the plan should consider the individual's current lifestyle so that the 'pain' in postponing current pleasures is bearable over the term of the plan. In times where current small sacrifices are involved, the plan should help ensure that the pursuit of the goal will continue. A plan should consider the importance of each goal and should prioritize each goal. Risk Management and Insurance Planning. Managing cash flow risks through sound risk management and insurance techniques. Investment and Planning Issues. Planning, creating and managing capital accumulation to generate future capital and cash flows for reinvestment and spending. Retirement Planning. Planning to ensure financial independence at retirement. Tax Planning. Planning for the reduction of tax liabilities and the freeing-up of cash flows for other purposes. Estate Planning. Planning for the creation, accumulation, conservation and distribution of assets. Cash Flow and Debt/Liability Management. Maintaining and enhancing personal cash flows through debt and lifestyle management. Relationship Management. To understand and service the core needs of the client. Education Planning and marriage planning for kids and goal planning for other family members. Creating and planning for funds so that right kind of amount is available at right point of time. Other identified goals. Planning for any other identified goals or aspirations that you might want to achieve within the means and resources like owning a car, holiday planning, 2nd home, new business start up, etc. Step 1: Setting goals with the client. This step is meant to establish the Client-Planner relationship and identify where the client wants to go in terms of his finances and life. Step 2: Gathering relevant information on the client. This would include the qualitative and quantitative aspects of the client's financial and relevant non-financial situation. Step 3: Analyzing the information. The information gathered is analysed so that the client's situation is properly understood. This includes determining whether there are sufficient resources to reach the client's goals and what those resources are. Step 4: Constructing a financial plan. Based on the understanding of what the client wants in the future and his current financial status, a roadmap to the client goals is drawn to facilitate the achievements of those goals. The complete plan is presented and discussed. Alterations are made, if required, to the satisfaction of the client. Step 5: Implementing the strategies in the plan. Guided by the financial plan, the strategies outlined in the plan are implemented using the resources allocated for the purpose. Step 6: Monitoring, reviewing and re-evaluating the plan. Reviews and re-evaluation are the essence of the entire financial planning process. The implementation process is closely monitored to ensure it stays in alignment to the client's goals. Markets, investments, government policies, client's personal and financial circumstances and other factors will change over time. Reviewing goals, situations, strategy, and investments is vital to ensure that the client remain on track to meet short-term to long-term objectives. If there is any significant change to the client's situation, the strategies and goals in the financial plan are revised accordingly. We recommend a review to each client at least on an annual basis.